» Back to dirt streets and mud? Back to dirt streets and mud? Too many old streets look like this when it rains. 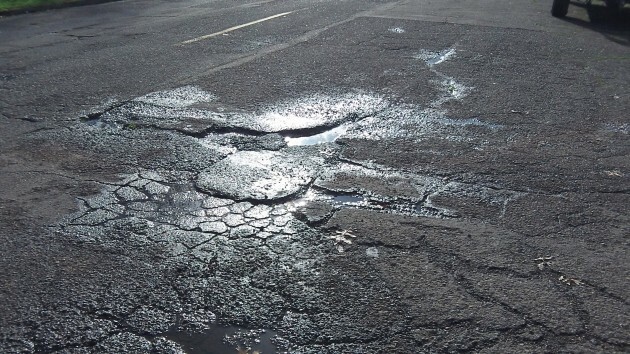 In a video the other day I reported on the crumbling pavement on Albany’s Fifth Avenue S.E., and you and I together were wondering why that and many other streets in the old part of town haven’t been fixed. The answer is not that there isn’t any money. It’s just that the money is spent on other important things related to streets. And now the situation may get worse as the city manager has proposed setting aside some street money to backfill the general fund. Checking the fine print in the city budge. With nothing better to do, I snagged a copy of the city budget at the downtown library and spent 20 minutes looking over the street fund. 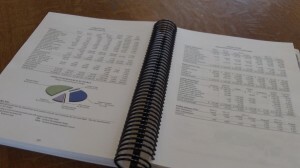 In page after page, the budget makes your eyes swim with numbers that summarize the year’s plan for street funding from all kinds of angles. The long and short of it is that city resources for streets this budget year, 2013-14, add up to $12.8 million, including reserves from systems development charges on new buildings. 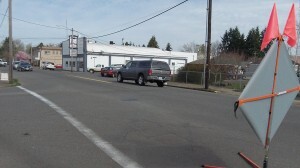 Main Street will get a roundabout right about here. Here are a few of the many other things the street fund is called on to support: Maintenance (everything from sweeping to pothole patching and wintertime sanding), public works administration and engineering, storm water operations and bridge maintenance. 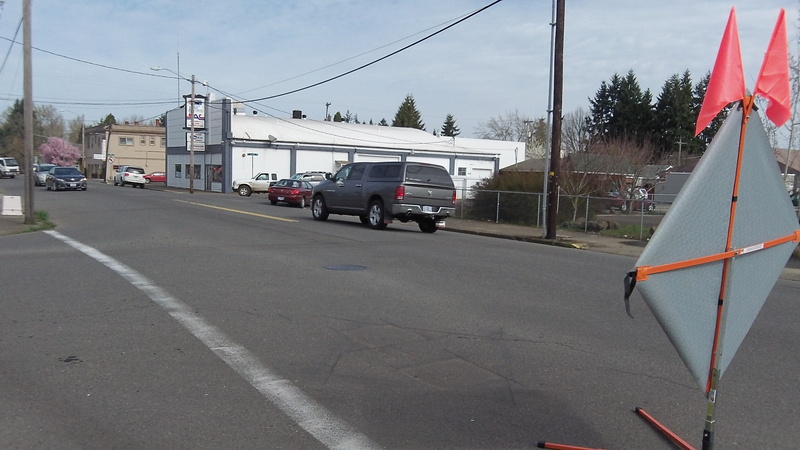 And don’t forget planning for the Corvallis-Albany bike path. Nothing in the budget points to resurfacing streets in the residential districts of historic Albany, and no change in priorities is in sight. The major capital projects that chew up millions (North Albany Road and Main Street) must be done to prevent gridlock as traffic grows. There is no chance for more money. On the contrary, City Manager Wes Hare told the council and members of the budget committee he may propose diverting about half a million dollars of the street franchise fees to the general fund’s contingency in 2014-15. The problem, he says, is that personnel costs are growing faster than the city’s income. The real unsustainable piece of costs is the employee costs–health benefits and pensions. The City Manager has no plan to stop those costs from rising and elected officials have not forced that outcome. So we just chug along having CARA meetings to give away taxpayer money to fix up old houses in the name of economic development w/o creating jobs.